Use vermiculite alone or mixed with soil or peat to germinate seeds. Very little watering is required. When vermiculite is used alone, seedlings should be fed with a weak fertilizer solution when the first true leaves appear. A tablespoon of soluble fertilizer per one gallon (3.78:1) of water will be sufficient. Where vermiculite is mixed half and half with soil, peat or composted pine bark, no additional feeding is required up to the time of transplanting. Because vermiculite is sterile, the threat of damping-off is virtually eliminated. 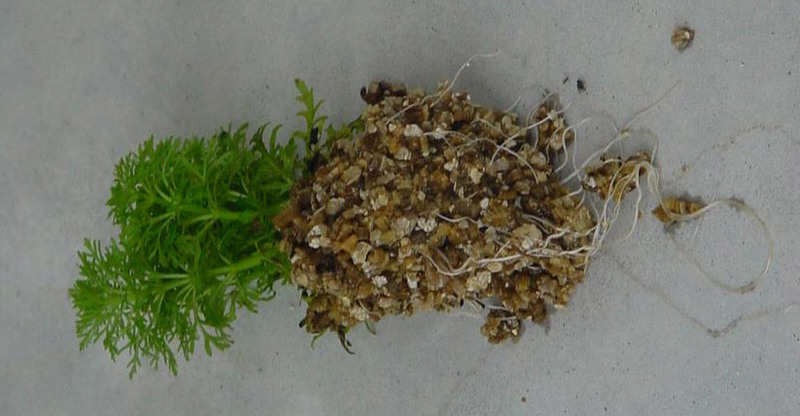 Seedlings can be removed from vermiculite with little danger of breaking off hair roots, and the dense root growth enables the young plants to take hold immediately.